Does your RV not look and function quite as you’d like it to? 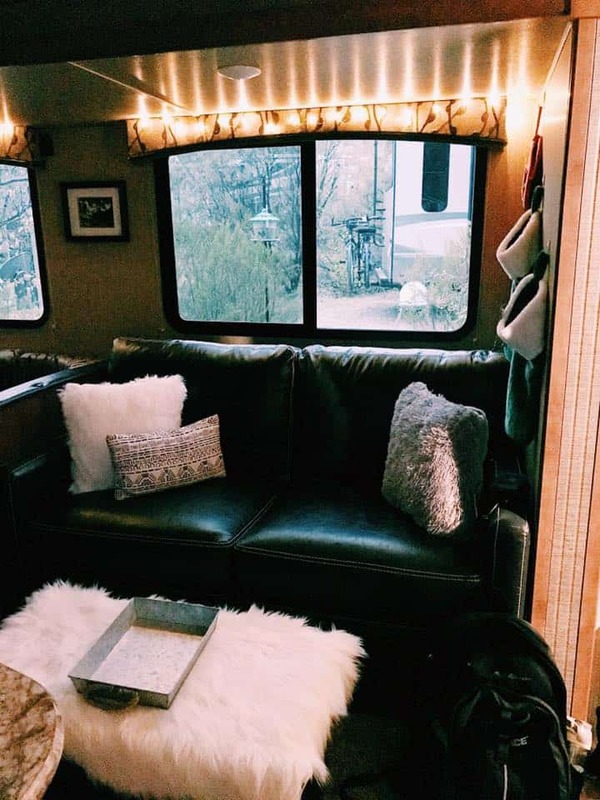 These simple RV hacks will help step up your RVing game, creating a space you love. Plus, they can be done in a few hours! The two biggest complaints we’ve heard from RV owners, whether they buy it new off the lot or used, is the lack of storage space and how it looks. Now, obviously, not all RVs are created equal. I’ve watched RV tours where I’m green with envy over the amount of space they had to store everything. Between their cabinet space and outdoor compartments to little nooks and crannies that seem ingenious. On the flip side, I’ve had people look at our travel trailer and comment on how they wish they had drawers in the kitchen as ours does. But I’ve never heard anyone say their RV was perfect and didn’t need any modifications. Here’s a video tour of our travel trailer if you’d like to see it. Todd and I aren’t natural do-it-yourselfers. We’re more like…let’s live with it like it is and spend our time and money elsewhere. 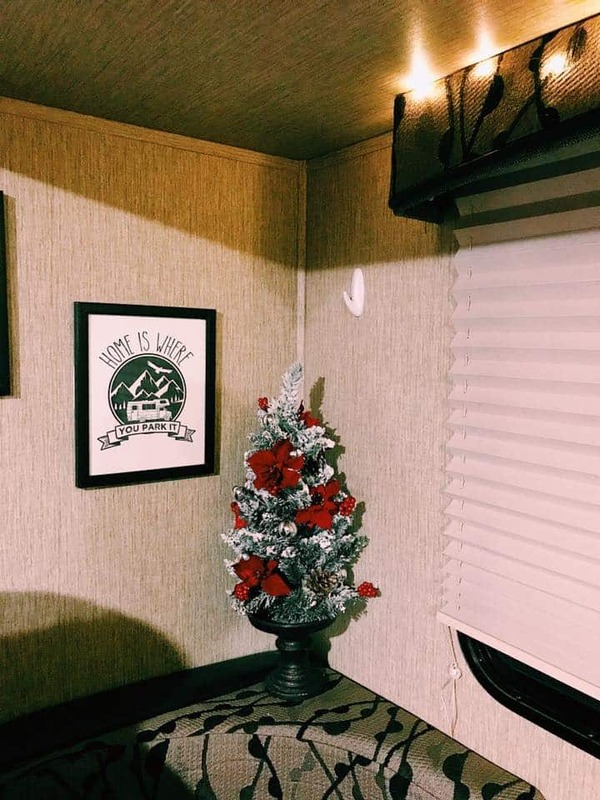 So, when it came to our travel trailer’s decor, we kept it as is and made the best of it. But let me tell you, there were days I wanted to throw a can of paint up, rip those ugly dinette cushions off and brighten the place up. 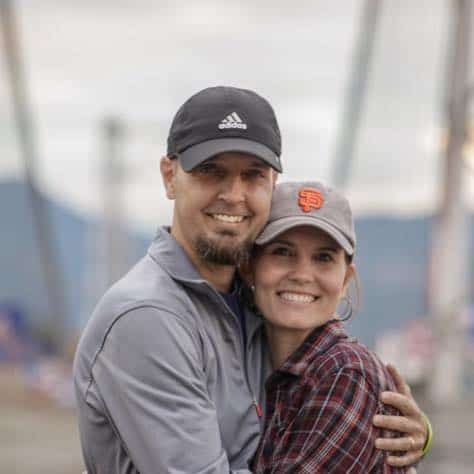 I think that if we had decided to continue to full-time RV and we were going to be in one location for longer than a week, we might have tackled a few DIY jobs. Side note: Here’s why we decided to stop full-time RVing. But we didn’t. So the masculine colors stayed and that was that. Why does it seem that most RV companies are stuck in a rut when it comes to design? I have no idea. I had a friend ask this question on Facebook as he was shopping for an RV. He was curious why every rig he looked at, although new, seemed to be stuck in the 1950s. Who knows. There are definitely companies and rigs out there that have stepped away from that brown, brown and more brown color rut and have expanded their color palette. But most likely you’ll pay a pretty penny for it. So the average RV shopper purchases what they can afford and gives their rig a DIY upgrade. 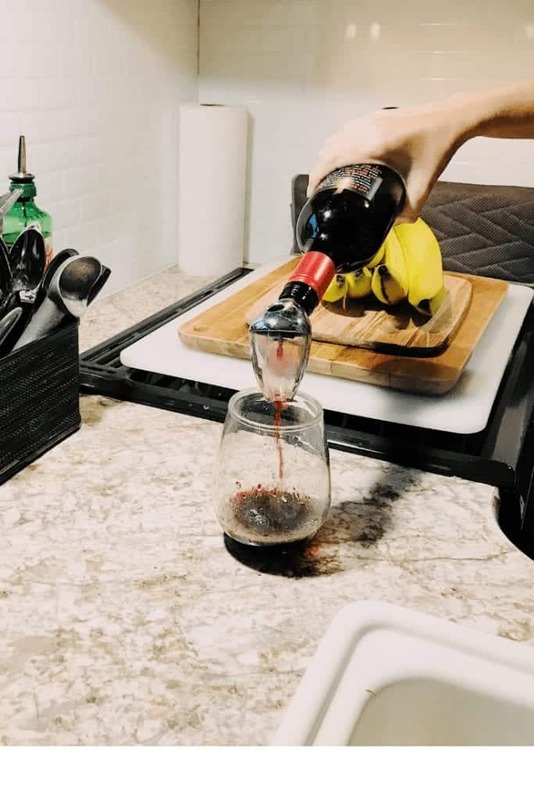 Whether you’re living in your RV full-time or you take it out on the weekends and summer trips, a few little genius RV hacks here and there can help you enjoy your space even more. We’ve rounded up some of the best RV hacks for things like RV curtains, RV storage ideas, upgrading the look of your RV and more. Some RVing friends of ours did this in both their kitchen and bathroom and it looked so amazing. It not only brightened the space up, but it gave the space a more modern look. They used peel and stick subway tiles like these. We liked the look so much, we did the same thing in our RV kitchen. It was fairly simple to install and so far it’s stayed put through steam and heat from the stove, constant moving, and just daily use. It’s also easy to keep clean. Just wipe it down with your basic cleaning solution and it’s good to go. You can see what it looks like in a regular kitchen (aka not an RV kitchen) here. We really disliked our RV kitchen faucet. The handles squeaked so bad it made me slightly angry and it was just flimsy, to begin with. So Todd purchased and installed a new one and it made all the difference in the world. The handles were smooth and didn’t squeak, the water flow was better and it updated the look as well. Just do your research for what faucets will work with your rig. This hack doesn’t update the look of your RV, it just keeps your plates and cups from flying out during a move. That’s pretty important. On move days to another campground, I’d put one tension rod in the cabinet that held our mugs. That way I knew they were secure. Another option is to bungee cord your cabinets so they can’t fly open in the first place. Bungee cords are a good item to have on hand while RVing. They’ve come in handy on multiple occasions! Notice I didn’t call it a living room? Now, some RVs we’ve been in had a really nice living room area. An area you could actually call a living room, with an open concept connecting the kitchen and dining of course. But our ‘living room’ was literally a couch and entertainment center. Here are a few things we did to make it more relaxing and functional. We purchased a collapsible ottoman before we even headed out on our 17-month adventure. We knew we needed a) something to prop our feet up on for comfort and b) more storage space. It also could be used as more seating if needed. This ended up being one of our best buys for the RV. When our daughter was with us, she used the ottoman to store her clothes. When she wasn’t with us, we used it for our youngest son’s school books and other odds and ends we needed to get to on a daily basis. To give the area a little more upscale look, I purchased a faux fur rug to place on top. It was the little touches like that that helped brighten the place up. This is something I didn’t actually do in the living room but wish I would have. I did take down the ugly side curtain panels so we were just left with the valances. That helped a little. You have quite a few options when it comes to your RV curtains. You can make them yourself, buy actual RV curtains from stores like Camping World, or you can install regular curtain rods and curtains you would use in a home. RV Inspiration has a fantastic post on different ideas for your curtains. You can check them out here. Here are a few different videos to help you first remove the valances, plus different RV curtain options. If you’re traveling to Alaska in the summer like a lot of RVers do, you might want to invest in RV blackout curtains. We lived in Alaska for several years with the military and had to have them on our windows year round. We used them in the summer to darken the rooms (try convincing a toddler it’s time to go to bed when the sun is shining in her face) and it helped in the winter with keeping the cold out on those really dark days. RV blackout curtains can be great for blocking out the sun, as well as general privacy. For us personally, the dining area was not only where *some* of us ate our meals. (All five of us couldn’t fit comfortably without elbowing the heck out of each other.) The dining area was also where our sons did their work – one was building a website and the other was doing school. As if that wasn’t enough, the dining area was also our daughter’s bed when she was with us. So that little space served a lot of purposes! What I really wanted to do was rip out the dinette, burn the pieces and start from scratch, but that wasn’t possible since we were moving across the U.S. and Canada at warp speed. So we just dealt with it as is and it worked. If you’re not wanting to get into the renovating that space quite yet or ever, here are some simple hacks. I absolutely love this no-sew option for covering dinette cushions. It easily changed the look of the space and it’s so easy! This is definitely something I wish we would have done before we even left on our trip. I was always giving those ugly cushions the evil eye and they were so dark! I could only find this one picture I took of our dinette area. And yes, that was our Christmas tree one year. Santa had a heck of a time fitting presents under there, but he did it! If you do decide to recover them, I would highly recommend going with sturdy upholstery fabric. We used our dinette all the time and low-quality fabric would have never stood the test of time and wear and tear. You might pay more up front, but you’ll pay less in the long run if you have to replace the fabric. Again, this is another RV hack I wish we would have done while living and traveling in it to spruce up the place. A friend of mine covered her dinette table in this marble contact paper meant for kitchen counters and it turned out beautifully. It’s waterproof, oil proof and can easily be wiped down to clean. If you don’t want to go the contact paper route, this RVer covered her table with one of those laminate tablecloths. She stretched it and used a staple gun to secure. As she mentions, this isn’t a permanent fix, but she paid around $11, so not bad for something temporary to update and brighten the space. In our little travel trailer, we had five people sharing one bathroom. So to say this space needed to really work for us would be an understatement! Storage was definitely an issue in our RV bathroom. The only storage available was the medicine cabinet and *some* space under the sink. Most of the under the sink space was taken up by pipes, so we actually couldn’t store much in there. Here’s how we made our RV bathroom work for us. None of these would work for us because we didn’t want to screw anything into our walls. They’re super flimsy, as a lot of travel trailer walls tend to be and we could see all kinds of damage possibilities. So we opted for large Command towel hooks and they worked perfectly. I think during our 17 months on the road I only had a hook fall off once. We were in a pretty humid climate, but I reapplied it and had no issues. We also recently removed all of the hooks and they didn’t leave a trace of adhesive behind. One of my biggest questions when I was researching all about living and traveling full-time in an RV was what people did with their laundry. I didn’t want it out in the living/dining space and it wouldn’t fit in our bedroom…so where do you store it? Thanks to an RV living Facebook group, I found out that a lot of people store their laundry in the tub. So that’s exactly what we did and it worked out great. We had two round laundry baskets that stored the laundry, as well as helped us transport it to the laundry room. When someone needed to shower, they just removed the tubs. Easy peasy. Not only did I have laundry baskets in the tub, we had baskets under the sink, baskets on a shelf in the bathroom and another basket in the tub that held shampoos/soaps/etc. 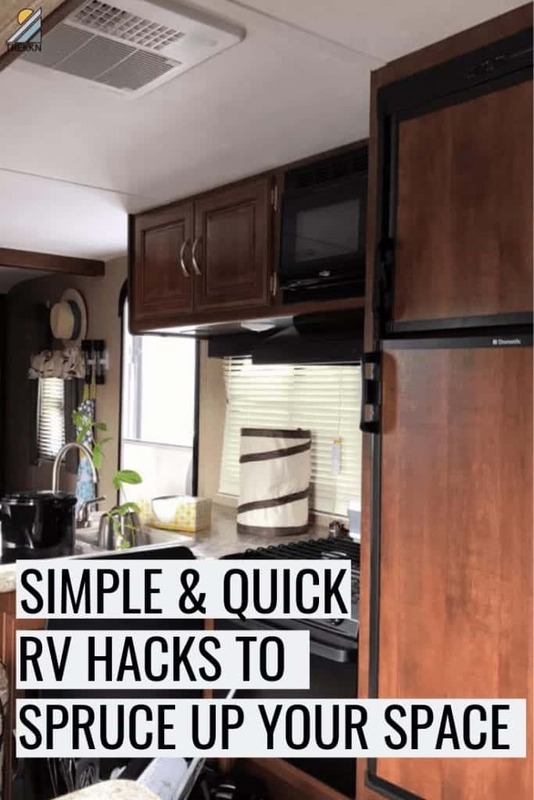 There are about hundred more RV hacks I could cover (and I will), but I wanted to give you a rundown of some quick options to help turn your space into one you really love. I hope these help transform your RV and help it feel more like home, as well as make it more functional for everyday living or vacationing. Do you have any RV hacks that have worked great for you? Let us know in the comments! We’re always looking for more ideas.